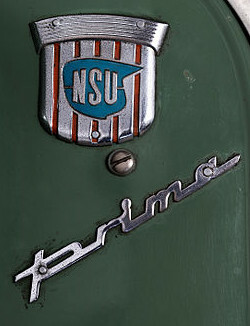 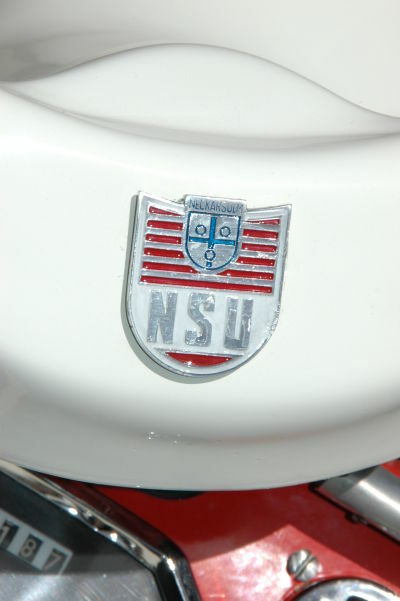 The NSU Prima D corresponded technically largely to the last version of the Lambretta. 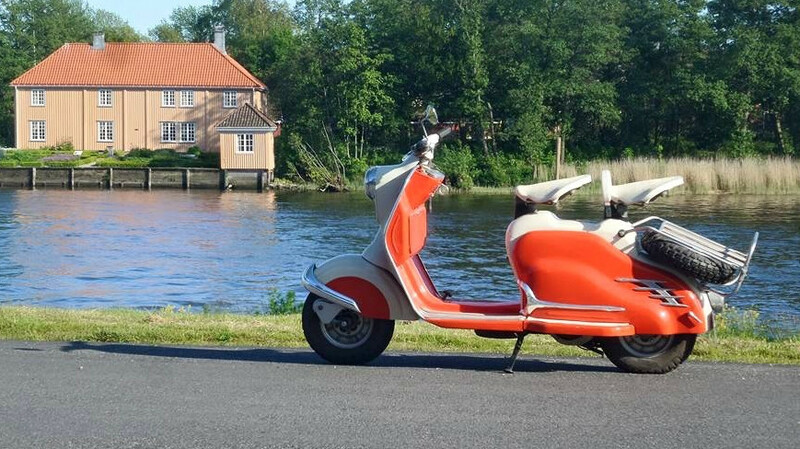 It had a torsion-resistant steel tube frame and an all-steel body on rubber cushions with the free throughput typical of a motor scooter, a wide raised front shield and two vibration kits. 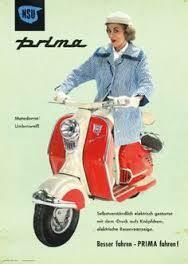 The rear side panels were easy to loosen and remove with a rotating handle. 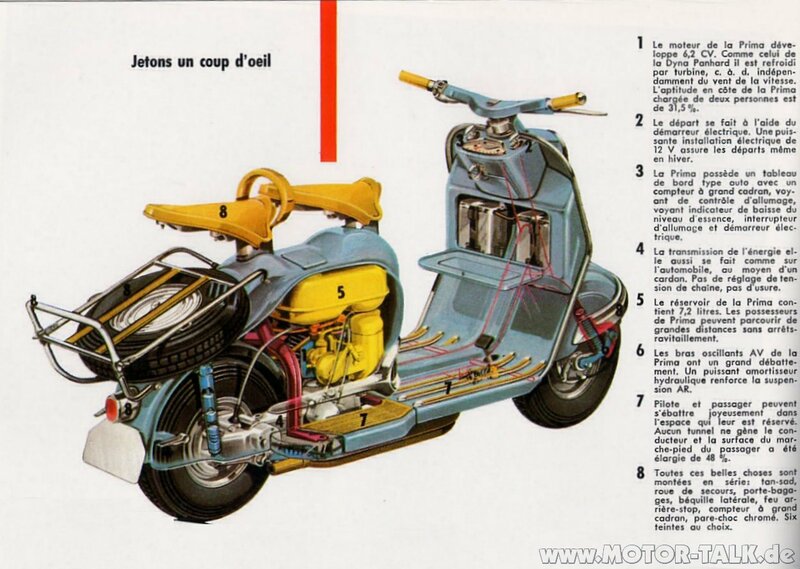 As with the Lambretta, the engine was installed inside the fairing in front of the rear wheel. 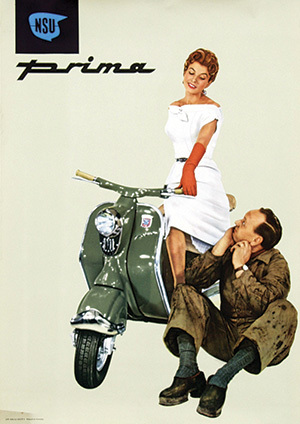 The rear wheel was guided on a swing arm with a screwed pressure spring and hydraulic shock absorber, the front wheel on a pulled short arm swing. 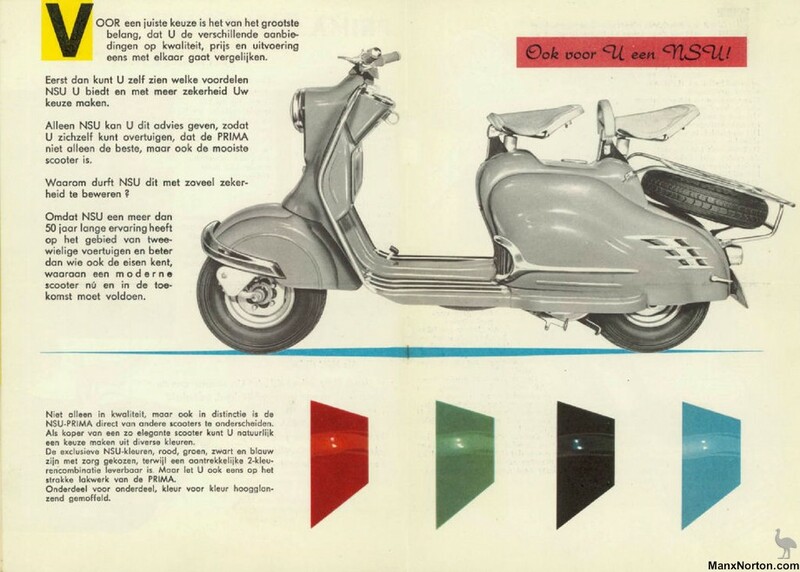 The wheels were interchangeable, so that the standard spare wheel could be installed front and rear. 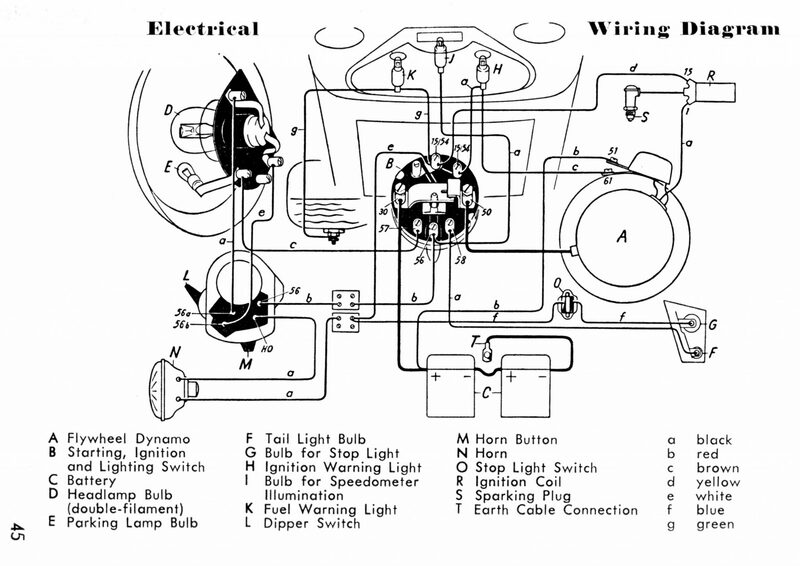 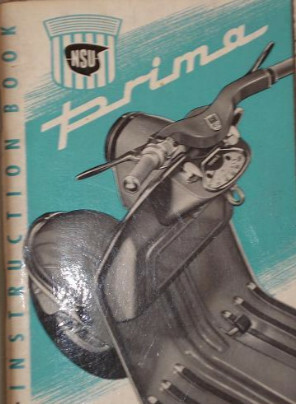 Instead of the Lambretta tube, the Prima had a profile press handelbar, into which the cables and bowden cables were concealed, a dashboard with a tachometer, a starter-light-ignition switch and a button for the starter flap and the gas-absorber. 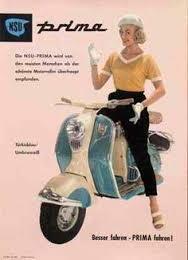 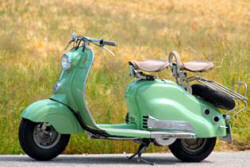 There was no time clock like the Lambretta. 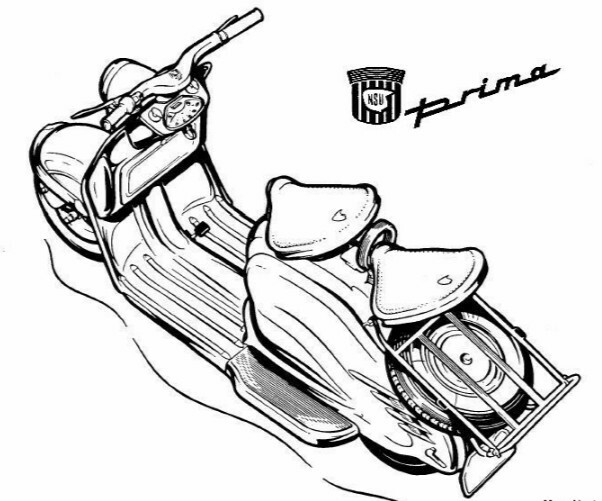 Furthermore, the Lambretta prima differed by ample chromium adornments and a unit of headlamp and horn combined in a chrome frame.